This project was supported by a grant from the American Society of Journalists and Authors (ASJA). In a 2017 Washington Post article, former Surgeon General Vivek H. Murthy cited emotional well-being and loneliness as one of today’s big public health worries. While the average American might experience isolation and disconnectedness at various times during their lives because of intense career involvement, age discrimination, geographic remoteness or for other reasons, many youth who identify as LGBTQ endure isolation, broken relationships and disconnections on an ongoing basis, sometimes with devastating results. According to David Oberleitner, Ph.D, chair, department of psychology, University of Bridgeport in Connecticut, isolation, or the perception of isolation, can be either an active or passive process. He explained that exclusion might entail directly being ignored or actively discriminated against by others, limiting access to social activities and school groups. “It can be less direct as well when the individual perceives that others do not respect them or do not want them around,” Oberleitner said, noting that the perception that others do not “see” or hear you can be just as powerful as being actively ignored. The perception of isolation, whether correct or not, is just as damaging as true or active exclusion. Nicole Issa, Psy.D, founder, Center for Dynamic and Behavioral Therapy in New York City, indicated that isolation falls into five categories. LGBTQ youth who are unable to talk to anyone about their sexuality suffer social isolation, a concept that comprises four sub-dimensions, including lack of social support, no contact with the LGBTQ community, social withdrawal, and victimization. Issa added that separation from social networks, including family, could have a negative impact. “[Youth] are often guarded about their sexuality, which may heighten the feelings of emotional isolation,” she said. The very act of “coming out” can create feelings of isolation, according to Laura M.I. Saunders, Psy.D, ABPP, clinical coordinator, The Right Track/LGBTQ Specialty Track, at the Institute of Living in Hartford, Connecticut. Saunders reported that youth who identify as LGBTQ face three critical stressors: minority stress, which could be racial in nature; social stigma, i.e., the expectation of being rejected; and family rejection. “You tip the scales with LGBTQ individuals who are more isolated and have higher rates of mental illness,” she said. Oberleitner reported that research on this topic is robust. “We see that psychologically, those who experience or perceive social isolation/social exclusion may have lowered self-esteem, lessened feelings of control, as well as increased depressive symptomology,” he said. Additionally, research has found that perceptions of social isolation and loneliness are associated with physical repercussions, such as increased blood pressure and impaired sleep. Interestingly, social exclusion has been found to induce similar patterns of brain activation as the experience of physical pain, Oberleitner said. Addressing the issue of isolation begins with social connection, according to Saunders. She uses a three-pronged approach with clients in The Right Track, an outpatient program at the Institute of Living out of Hartford Hospital. A critical component of the program is “Witnessing and Mirroring,” which involves psychologically engaging with others. Both constructs complement each other. “Witnessing without Mirroring leaves one feeling profoundly alone/isolated,” said Saunders. A second important step involves helping the individual identify the micro-aggressions that take place during the coming-out journey, according to Saunders. Matthew Kobs, Psy.D, school psychologist and private practitioner in Manchester, New Hampshire, uses motivational interviewing for his clients who identify as LGBTQ, noting that this technique provides a way for youth to “reflect how they view themselves” and thus helps prevent isolative behavior. “One of the biggest traps is lack of adequate knowledge and misinformation,” he said. Motivational interviewing occurs in a series of stages, according to Kobs, which begins when the individual recognizes ambivalence and then reflects on ways to respond. He added that each stage also takes place within the parameters of developmental appropriateness. Kobs also reported that including parents in the intervention process is imperative, especially if some discord exists that might cause isolation. Suicide is a much more serious problem for youth who identify as LGBTQ. According to the Centers for Disease Control and Prevention (CDC), LGBTQ youth are two to five times as likely as their straight peers to attempt suicide, and young transgender people are also at heightened risk. Oppression and marginalization are cited as leading contributing factors to suicidality. Additionally, LGBTQ youth whose families have rejected them are 8.4 times as likely to attempt suicide. Megan C. Lytle, Ph.D, co-chair, Children, Youth, and Families Committee of the American Psychological Association’s (APA) Society for the Psychology of Sexual Orientation and Gender Diversity, said that her primary concern is suicidal tendencies and ideation. She supports research that describes how rejection/feeling disconnected is a risk factor of suicidal behavior, while acceptance/feeling connectedness is protective. Lytle embraces the interpersonal theory of suicide and minority stress model that both highlights the benefits of connectedness and suggests that lack of connection is linked to poor outcomes. She added that the sources-of-strength program, a school-based effort to fight against suicidal behaviors, helps to enhance social networks and the relationships between youth leaders and trusted adults. Lytle recommends parents consult with the Family Acceptance Project for strategies to help minimize risk of suicide for a child who identifies as LGBTQ. Isolation also imposes a financial burden on society, Saunders said. She noted that LGBTQ youth who have depression and anxiety, (which are symptoms of isolation), as well as increased stress and suicidal ideation or tendencies, are less able to function in the workplace. As a result, are unable to be productive members of society. Issa pointed to a 2014 World Bank Study that explored the cost of stigma and exclusion of LGBTQ people in India. She said that these statistics could be applied to a broader geographic population. The report cited a “conceptual model” that links exclusion of those who identify as LGBTQ with economic development. For instance, employment discrimination and restrictions on labor supply often lead to lower productivity and output. The study also reported that fewer employment opportunities and lower incomes for those who identify as LGBTQ increases the demand for anti-poverty programs and other public services. Additionally, studies in 39 countries have found that isolation leads to joblessness, food insecurity, and poverty. The report determined that discrimination against LGBTQ individuals can cost an economy the size of India’s $32 billion. 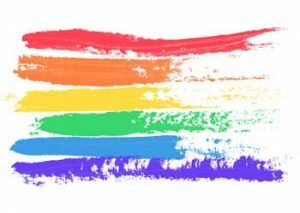 Issa recommended psychologists seek training on diversity and affirmative therapy and allow LGBTQ individuals to explore their feelings in a safe environment. She also suggested validating and recognizing the influence that homophobia and prejudice have on one’s identity development. Increased awareness and education is just the initial step in achieving acceptance for youth who identify as LGBTQ. Finding an effective solution to the problems LGBTQ youth face continues to be challenging but is of paramount importance. Phyllis Hanlon has been a regular contributor to New England Psychologist since 1999. As an independent journalist, she has also written for a variety of health, medicine and business consumer and trade publications. Radcliffe C. “The real cost of LGBT discrimination.” World Economic Forum. October 2016. Family Acceptance Project – This evidence-based family-related model aims to “…change the paradigm for how LGBT children and youth are nurtured, cared for a served across disciplines and systems of care” through the use of interviews, case studies and surveys. GLSEN – An education organization aimed at creating safe and inclusive schools. PFLAG – First and largest organization in the country with chapters in every state designed to unite families and provide social connections with other parents of children who identify as LGBTQ.